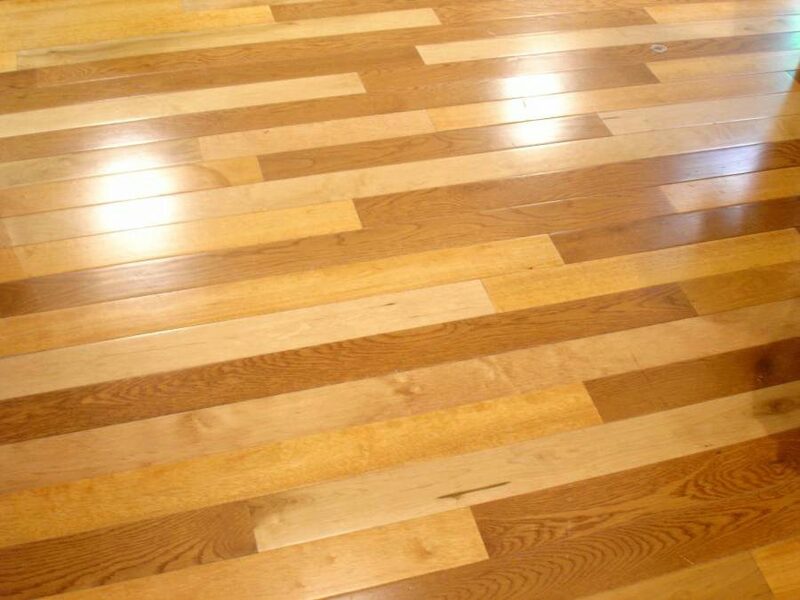 Protect your hardwood floors from moisture to prevent warping and bucking. There’s nothing that compares to the beautiful, modern look of authentic hardwood floors. Laminate and other materials may attempt to mimic this look, but they ultimately come up short. However, one of few disadvantages of hardwood floors is their susceptibility to warping and buckling. You might spend an entire afternoon (or longer) installing new hardwood floors in a room, only to discover the following day that they are warped. So, what causes warping and buckling? The reason why hardwood floors are susceptible to warping and buckling is because they are very porous on the surface. Trees growing in the wild absorb water through these pores to help stay hydrated. Unfortunately, this same characteristics travels with the lumber when it’s harvested and processed for use in flooring materials. Although you can’t see them without a microscope, hardwood floors contain pores on the surface that absorbs moisture; thus, allowing them to warp and buckle when exposed to too much water. The secret to preventing hardwood floors from buckling is to keep the relative humidity (RH) below 55%. Allowing it to rise above this amount may result in damage to your floors and other hardwood items inside your home. Humidity tends to rise higher during the winter months due to the increases usage of heaters and fireplaces. Allowing water to pool up on your hardwood floors may also lead to warping and buckling. Whether you spill a drink or accidentally splash water onto your floors after getting out of the shower, exposure to water can damage hardwood floors. If you believe your home’s RH is over 55%, install a dehumidifier to help control the air’s moisture content. Dehumidifiers work to extract moisture from the surrounding air; thus, lowering the RH. If you’re going to use on inside your home, though, it’s important to remember that you must dispose of the water on a regular basis. Most dehumidifiers have a storage tank or container that stores water. Once it’s full, it must be drained or else the device will no longer function properly. Of course, cleaning up any spilled drinks and liquids in a timely manner is another important step in the prevention of warped and buckled hardwood floors.